I went to a class at Scrap Revolution as I discovered it is only about an hour away. 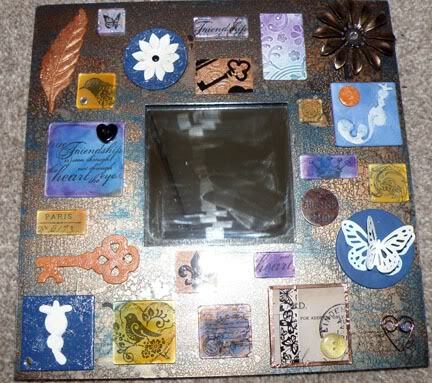 This is the mirror I decorated/ altered while there. 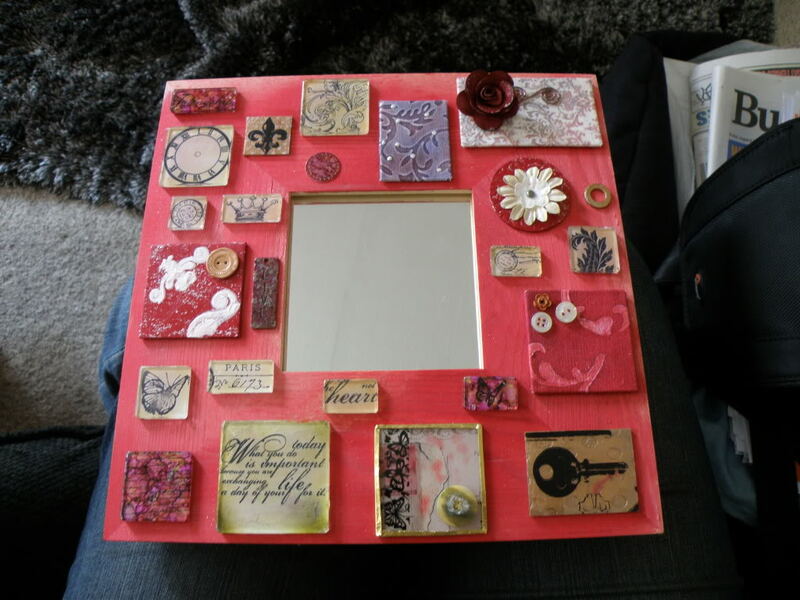 And this is the mirror I decorated/ altered when I came back for one of my friends who wanted to come but couldn't as she was on holiday. Helen these are Wonderful, bet she will love it when you give her her's. ooh helen, a real work of art. Wow, they're lovely! I sat next to Lorraine at a crop once (well, the crop I used to co-organise), as she came with her shop. Lovely lady, and very talented! Ooooh, Helen. They're lush. They'll look super on the wall. They are lovely Helen, something a bit different to do. Very nice helen I'm sure your friend will be very pleased with hers. They're lovely Helen, well done. Its unusual to see mirrors with such big frames, and good that you could alter it. Ooh they are lovely - and inspirational. Must have a think of these - I love them. ~These are lovely Helen. I, too, went to a class for these and painted one (Ikea cheapo one when it started out!) some years ago and it is still on Mia's wall in her living room. I thoroughly enjoyed doing it. This is a lovely idea Helen, and theyve come out really lovely. Thank you, I enjoyed doing them and yes, they started life as the cheap Ikea ones before I painted and misted them. 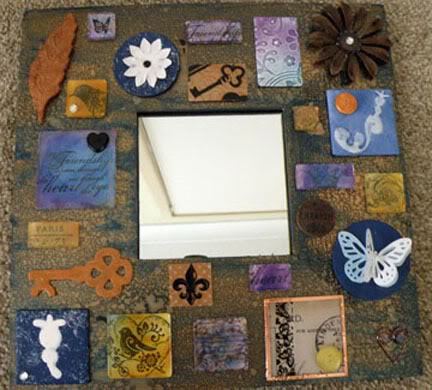 I have another 3 mirrors so might be inspired to make some more. Helen, do u have time to do a technique thread for decorating them, i.s.e. materials used and a how to?